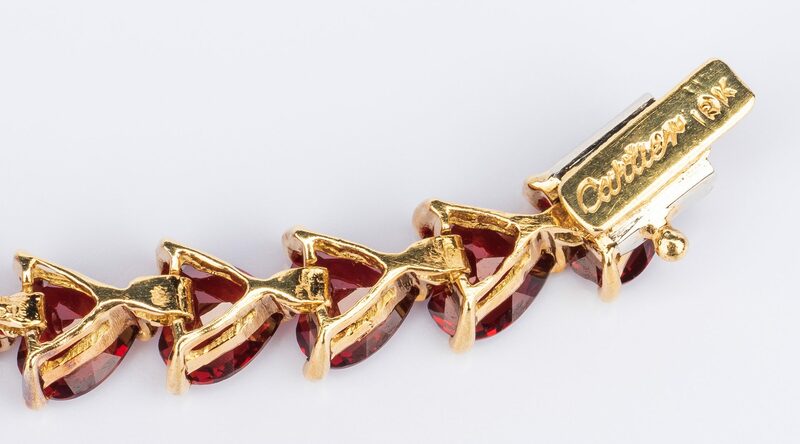 18K yellow gold link bracelet, clasp marked Cartier, containing 26 heart-shaped garnets, clasp marked "Cartier 18K", 6 5/8" long with safety clasp, 16.7 grams. Red Cartier bracelet box included. Provenance: Private collection, Knoxville, TN. CONDITION: Overall very good condition.